Who doesn't like to save money, right? Your auto insurance may be one place to start. After all, it is often a regular expense on the monthly budget and saving a bit of change can really add up over the long term. 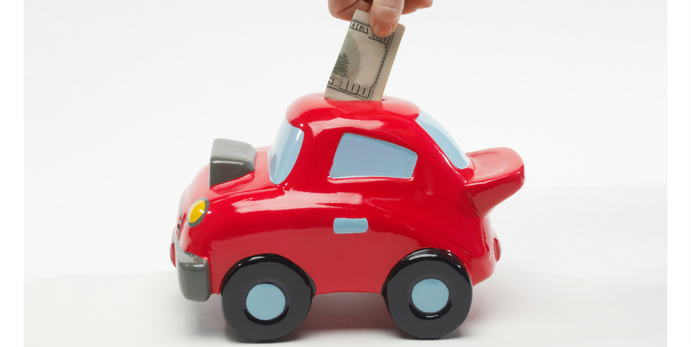 So, let's explore 4 tips that can help you lower your auto insurance. The best way to be a great candidate for auto insurance savings is to be a good driver. Drivers who have low or zero points on their driving record enjoy lower rates. But what does the term "points" really mean? Every traffic violation conviction is assigned a certain number of points. The amount varies according to the severity of the violation as well as from state to state. For example, a parking violation may only get a driver 2 points on their record. Get convicted of a DUI and earn 8 points. Accumulate enough points and a driver's license is suspended. Research shows that the point system works to accurately reflect the safety risk of a driver. If you really want to save on your auto insurance rates, obey the law. It seems unfair to factor in a driver's credit history when it comes to evaluating their driving skills and safety risk for calculating insurance premiums. The reality is that there is a good reason for factoring this in. A good credit score doesn't mean you are a better driver. It means you are a more trustworthy consumer. An auto insurance company is in the business of mitigating risk. They are not just interested in mitigating risk with the drivers they insure. They are also interested in mitigating risk among paying customers. The best rates are for consumers who practice the highest standards of paying their bills on time. Just like any household or business, an insurance company operates according to a budget. They are expecting X amount of dollars to arrive at a certain time. A company that does not have a reliable cash flow won't be in business long. So, be a responsible consumer with a good credit score and save money on auto insurance. Many consumers loathe the tedium of shopping around for bids. But if you really want to save money and get the best rates, you have to do the legwork of scoping out the competition. When you were interested in buying that car you want to insure, you didn't just stroll into an auto dealer, point a vehicle out and buy it on the spot, did you? It's more likely that you visited several dealers, discussed purchase price and informed each salesperson of what the competition was offering. This resulted in getting the best deal on your automobile. It works the same way with your auto insurance. The next time your policy expires, shop around. And it doesn't take nearly as long as shopping around for a car. In about ten minutes, from the comfort of your couch, even clothed in your PJ's, you can get multiple quotes from auto insurance companies. A click of the mouse is like saying, "Take your best shot!" And you get to pick the winner. If you have shopped around only to discover that your rates have increased, you may ask yourself, "What happened?" Upon investigation, you may realize that things have changed. All sorts of things change over time that affect auto insurance rates. You may have received a ticket that affected your driving record. Your credit score may have run afoul. Perhaps your household now has a driving teen. Relocation can land you in a new geographical area that results in higher premiums. What can you do? The best option is to register with a traffic school that can deliver a safety training course your insurance provider will accept as proof that you are taking your driving and auto insurance responsibilities more seriously. For penny-conscious consumers, the good news is that there are plenty of ways to save money on auto insurance. Even if you have made some mistakes, there is no need to feel doom and gloom. A certificate of completion from a traffic school can go a long way to lower the rates of higher risk drivers or consumers. And even if you have done everything right and think you can't squeeze another nickel of savings out of your rates, you might be in for a surprise when you realize that traffic school may save you a bit more!